Founder, One Laptop per Child (OLPC). Visionary technology futurist and the driving force behind One Laptop per Child. Professor Negroponte was the first to predict and describe how digitalization would affect every industry in every part of the world. He is the author of the New York Times bestseller “Being Digital”. He has continued to understand the directions that technology is taking business and society and to effectively forecast the transformations that are defining our future. He is the founding chairman of MIT’s Media Lab, one of the world’s leading interdisciplinary research centers. Negroponte is the driving force behind One Laptop per Child, a project to bring durable, affordable and innovative computers to children worldwide. As a computer, OLPC is a conceptual and technological breakthrough that is destined to revolutionize computing. As a nonprofit, OLPC is also a conceptual breakthrough that is destined to transform global education and economic development. 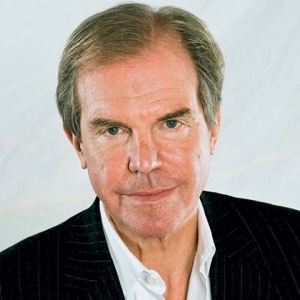 Nicolas Negroponte was cofounding Chairman of MIT’s MediaLab and is now Chairman Emeritus. Nicholas Negroponte’s non-profit One Laptop per Child seeks to provide children around the world with new opportunities to explore, experiment and express themselves. Any nation’s most precious natural resource is its children. The XO gives children a window on the world and a highly programmable tool for exploring it. It allows children to ‘think about thinking’ in ways that are otherwise impossible. OLPC is not, at heart, a technology program. It is a revolutionary new way to promote learning. Capabilities. The laptops include a human power system for use where there is no electricity. They fold different ways, are encased in rubber and plastic for durability and display in two modes, both a normal color LCD and a sunlight readable B&W screen at 3X resolution. They will have three USB ports, will be wi-fi capable and mesh network capable, so that, for example, a thousand kids can share one internet back haul very inexpensively. Origins. The Negropontes have built five schools in rural villages in Cambodia that do not have electricity, telephone or television—but some kids now have broadband wireless, and their first English word is Google. The idea for the XO follows from Nicholas’s experience with these schools, more recent experience in the State of Maine (which passed one laptop per child legislation in 2002) and many earlier activities. The OLPC project has become the most asked-for topic in his long speaking career.